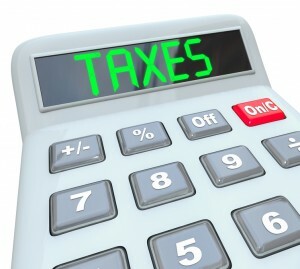 How Does Portability Affect Estate Taxes? JR Phillips & Associates, PC > Estate Planning > How Does Portability Affect Estate Taxes? A Denver estate attorney discusses how portability for federal estate taxes can help reduce tax obligations. Since 2011 in the U.S., married couples have been able to take advantage of portability for federal estate tax purposes, allowing them to share certain unused exemptions and save on their overall estate tax obligations. Although portability is not an option for state-level estate taxes in Colorado (as of Dec. 2015), understanding how and when it can apply to federal estate tax obligations can be incredibly important to limiting future tax bills and preserving an estate for survivors. Portability of the federal estate tax exemption is a provision by which the unused portion of a decedent’s exemption can be applied to the surviving spouse’s estate upon his or her death. When portability comes into play, the unused exemption from the first spouse who passed away will be added to the total exemption for the second spouse who passes away, effectively increasing the federal estate tax exemption that can be used upon the death of the second spouse. When used strategically, portability can help minimize – if not eliminate – certain federal estate tax obligations for beneficiaries. Let’s say married couple, Bob and Pam, jointly own all of the assets of an estate worth that is worth $4 million and that Bob passes away first. Since the assets are all jointly owned, they will be automatically transferred to Pam upon Bob’s death, with no federal estate taxes coming into play. This would leave Bob’s exemption (of roughly $2.6 million) unused, available for Pam. When Pam passes away later (assuming the estate remains the same), the unused exclusion from Bob can be added to her exclusion (which would also be about $2.6 million), for a total of $5.2 million. Given that the exemption, with the application of portability, now exceeds the value of the estate, the beneficiaries who inherit Pam’s estate (let’s say their children) would not owe any federal estate taxes. This, ultimately, means that more of the estate can be passed down to their intended heirs, rather than sending it off to the government to satisfy an estate tax bill. For experienced help with estate planning or Colorado probate, contact an Denver estate attorney at JR Phillips & Associates, PC. We provide a thoughtful, comprehensive approach to our clients’ estate planning, elder law and other legal needs, and we take pride in helping each of our clients and their families find the best solutions for them. Let’s discuss your options for addressing and resolving your legal needs during an initial consultation. To schedule this meeting, call us at (303) 741-2400 or email us using the contact form at the top of this page.